The JConcepts 12mm Hex Mono Front Wheel for the B64 is purpose designed wheel for this popular kit. 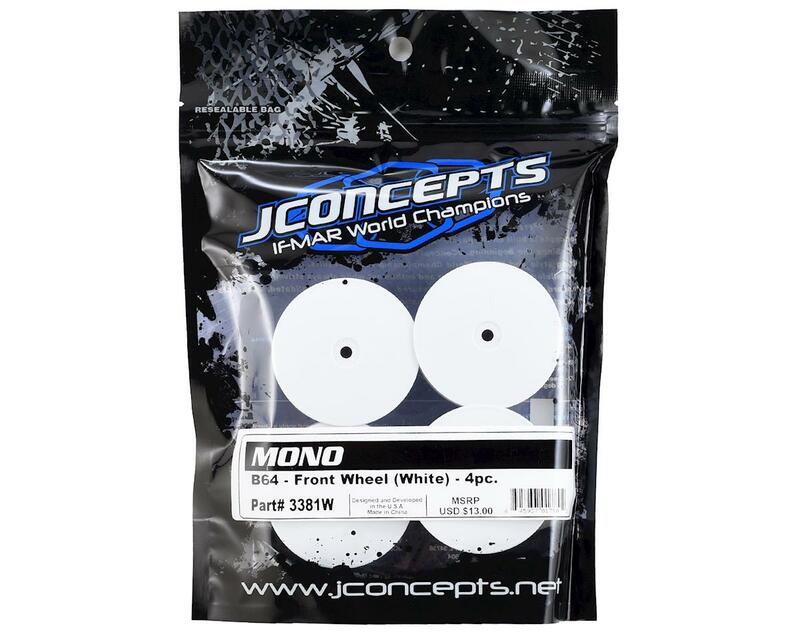 JConcepts Mono 2.2” wheels are designed in the popular dish style and available in bright white and fluorescent yellow. The B64 has not been left out of the Mono wheel development and while the rear easily utilizes the same configuration as the B6 vehicles, the front wheel, is a matching stylized wheel that is a direct bolt-on for the kit. The B64 front Mono wheels are the maximum size allowed under ROAR rules and make a statement with their large appearance, slight convex dish shaped design and superior inner rib design. The wheels incorporate an outer glue catch that resists excess glue from running down the wheel face during the gluing process. JConcepts wheels are manufactured using advanced techniques to ensure trueness and durability and are branded with the small JC logo for brand identification and authenticity. There is no standard offset for 4WD front wheels. 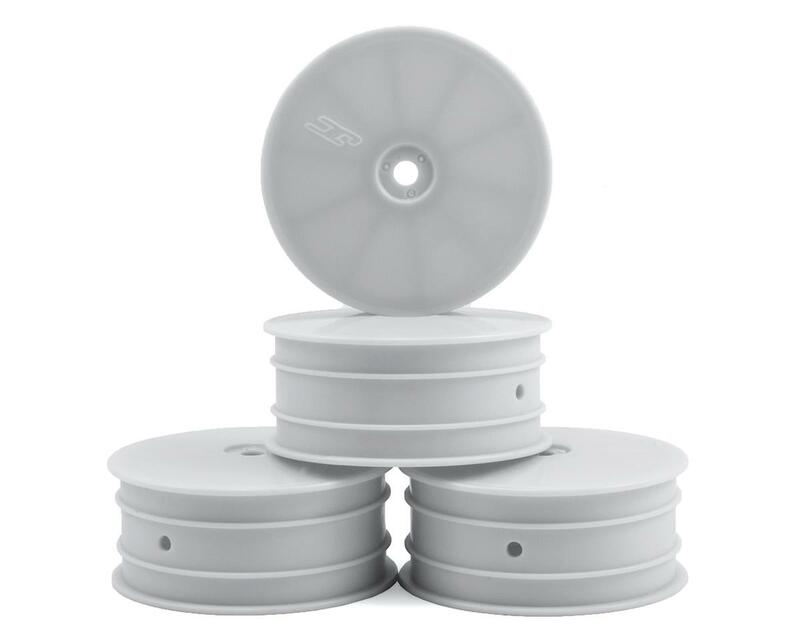 This good quality B64 wheel measures 25mm from the face of the hex to the inside edge of the rim. XRAY and Schumacher wheels measure 23mm. If you own an XB4 and run on carpet or turf, this matters, because with the B64 wheel you won't be able to achieve 250mm width in the front. Sure you can install wider front hexes, but there won't be enough threads showing on the front axle to tighten the wheel nut. (On clay you can probably make it because the side overhang of clay tires is much larger than for carpet/turf tires, so you use thinner hexes.) Bottom line: If you run the XB4 on carpet or turf, you don't want to run these wheels.